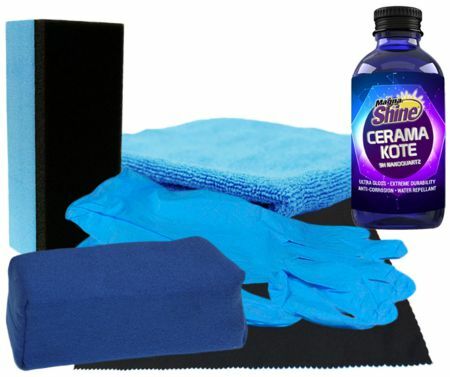 Magna Shine™ Ceramakote™ Protective Ceramic Coating is an innovative clear molecular crystalline coating that protects vehicles from the harsh environmental elements, including harmful UV rays. This highly advanced hydrophobic formula repels water, road grime, brake dust and other contamination from surfaces that have been successfully treated. The Magna Shine™ Ceramakote™ Protective Ceramic Coating’s Nano Quartz “9H” hydrophobic formula has been specifically designed to apply-easily, create a deep high gloss finish and offer paint, wheels and chrome as well as other non-porous trim with the ultimate in protection. Unlike standard car waxes and paint sealants, Magna Shine™ Ceramakote™ Protective Ceramic Coating offers durable longevity that is measured in years, not months! 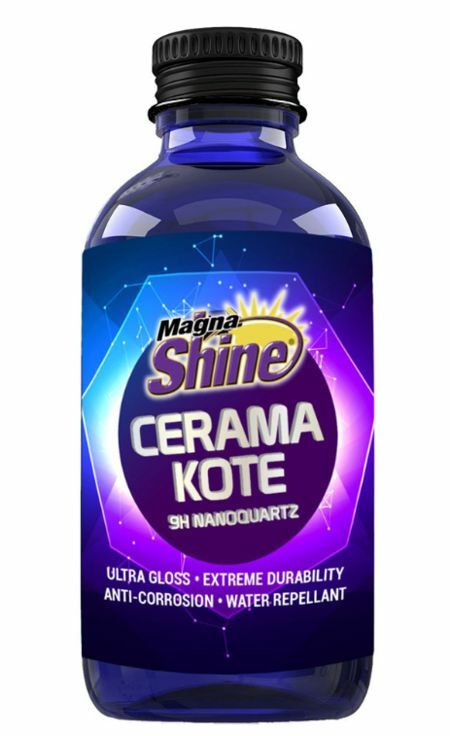 Magna Shine™ Ceramakote™ Protective Ceramic Coating is dry to the touch after 40 minutes, completely dry after 24 hours, and 100% cured after 5 days. Refer to the Safety Data Sheet (SDS) for specific medical, disposal and handling information. PRODUCT CANNOT SHIP VIA ANY TYPE OF AIR TRANSPORT, INCLUDING UPS NEXT DAY AIR, UPS 2ND DAY AIR, UPS 3 DAY SELECT, FEDERAL EXPRESS, PRIORITY MAIL, ETC. THIS PRODUCT MUST SHIP VIA GROUND TRANSPORTATION AND IS ONLY AVAILABLE WITHIN THE U.S.'S CONTIGUOUS 48 STATES, PLUS THE DISTRICT OF COLUMBIA.